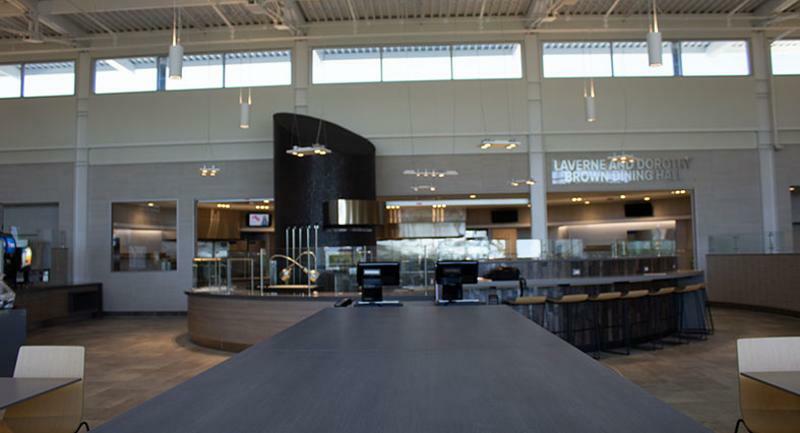 Lewis University in Romeoville, Ill., celebrated the opening of its Brother James Gaffney Student Center this fall. 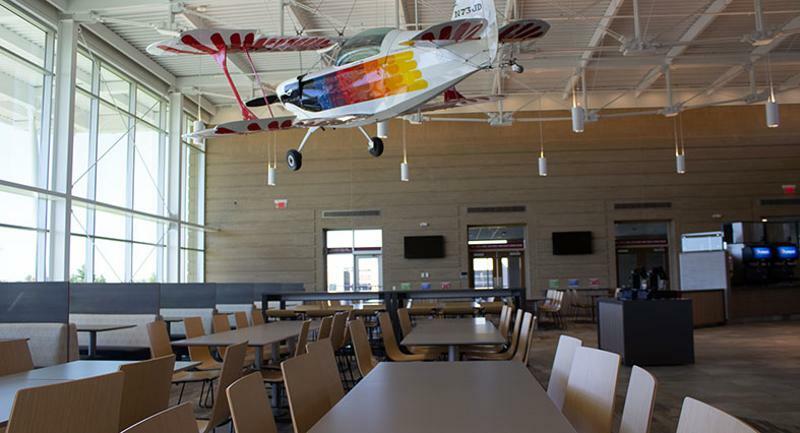 The new aviation-themed building, an homage to the school’s flight program, includes a convenience store and a dining hall that seats over 300. Here is an inside look. 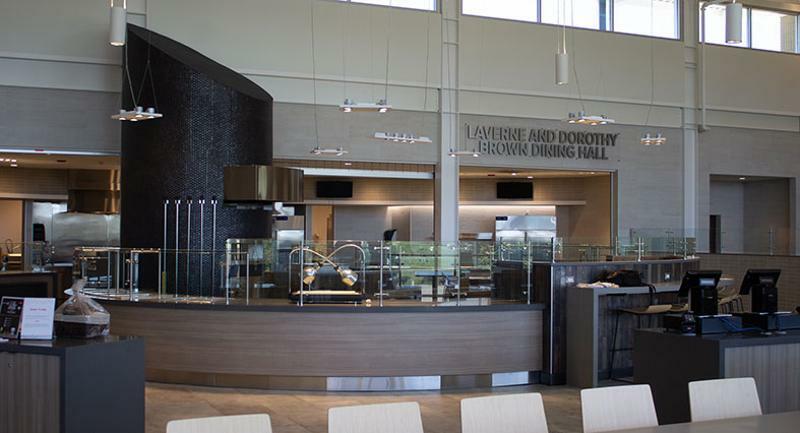 Students can choose from six stations, including Fresh from the Fields, which offers seasonal dishes, and Deli and Carvery, which serves up made-to-order sandwiches. Comfort food-focused The Grill is currently the most popular station among students, says General Manager Brandie Jevtic, noting that students are starting to branch out from that spot’s burgers and fries. To provide an after-dinner option for students, some stations such as The Grill stay open until 9:30 p.m. on weeknights. The dining hall’s pizza station, Fired Up, houses a wood-fire pizza oven that Jevtic describes as the “centerpiece of the dining hall.” The oven churns out as many as 90 14-inch pizzas a day. 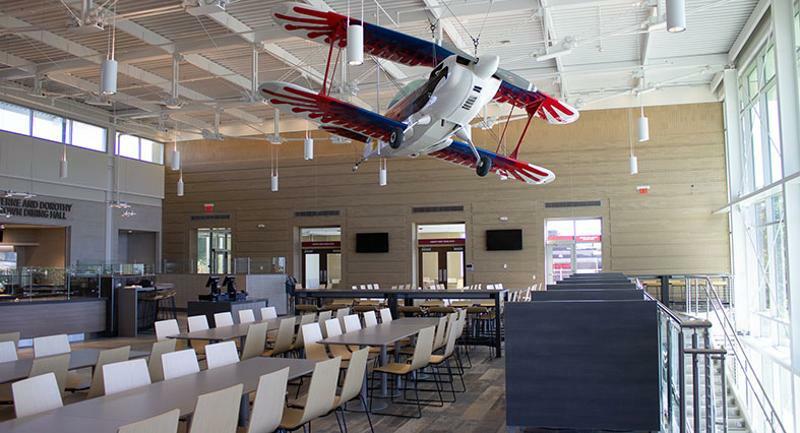 In homage to the school’s aviation program, the dining hall’s seating area features vintage airplanes hanging from the ceiling. 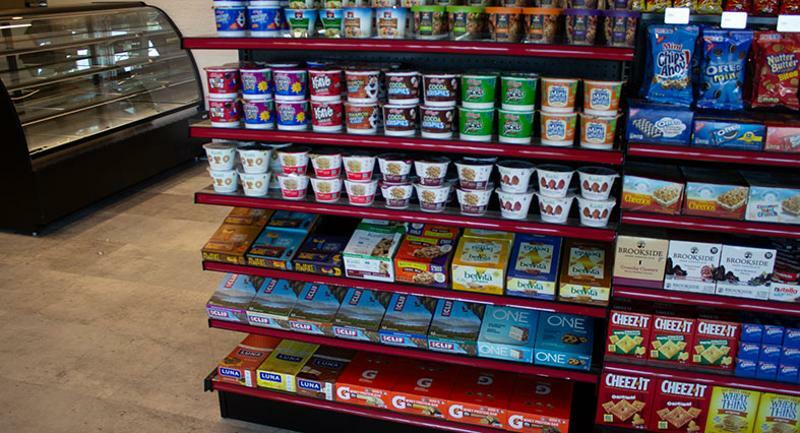 Students can also grab a bite to eat at the student center’s convenience store, Common Grounds, which offers a variety of to-go sandwiches, salads and coffee drinks along with traditional c-store items. “Students can get everything from a quart of half-and-half to beef jerky to personal care items,” Jevtic says.